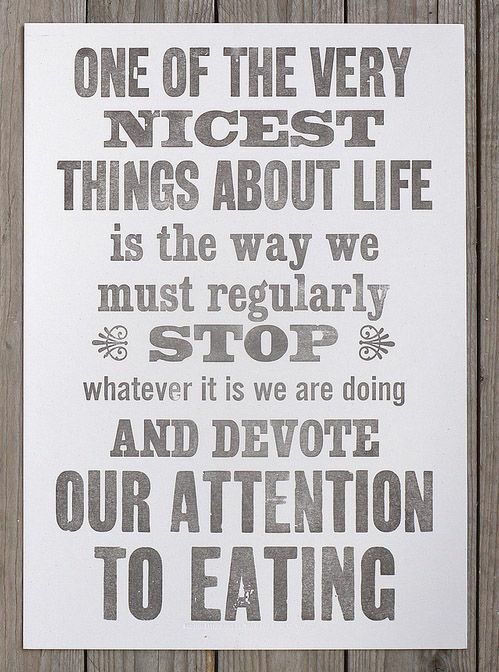 The quote is from Pavarotti’s first autobiography “My Own Story” that was written by William Wright (1981, Doubleday). I end this post with a very funny scene from the only movie Pavarotti made, “Yes, Giorgio“, from 1982. In this scene Pavarotti is together with his co-star Kathryn Harrold in a very food-related scene! This post was originally published 20-11-2013. Last revision 20-11-2013. 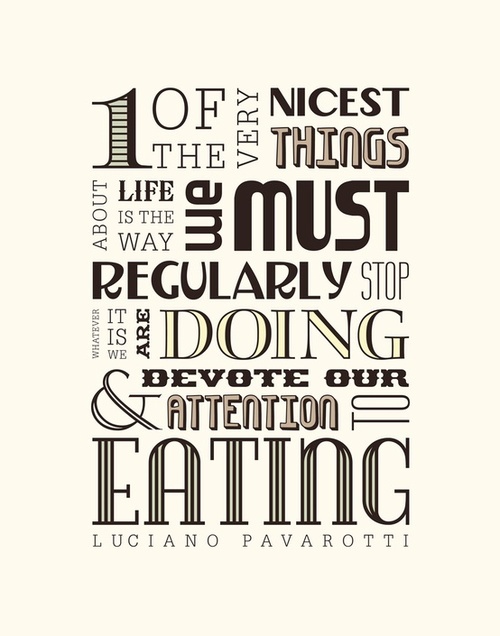 Posted in Funny Pavarotti, Luciano Pavarotti, Pavarotti, Pavarotti and food, Pavarotti in Yes Giorgio, Pavarotti quotes on November 20, 2013 by Odd Pavarotti. 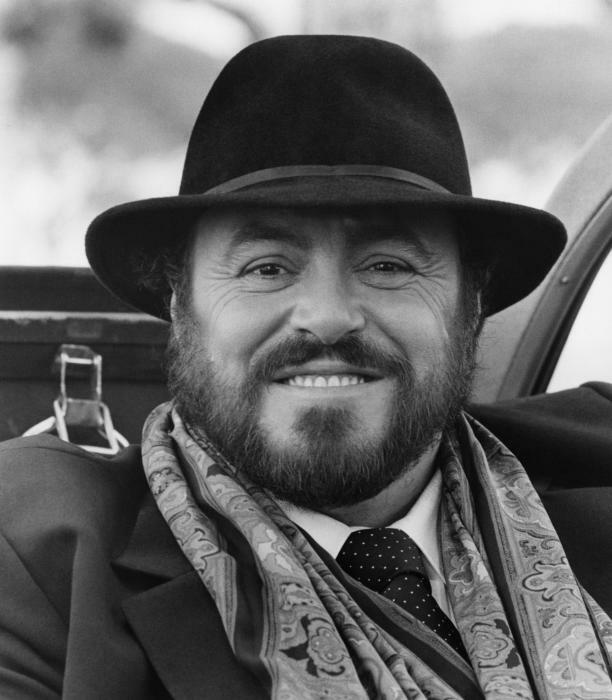 Pavarotti made only one movie, “Yes, Giorgio“, in 1982. Here are just three funny and lovely scenes from that movie. For many Pavarotti fans this movie is very special. Pavarotti’s lovely personality shines through this movie. No wonder many fans love this film that much. More about “Yes, Giorgio“ in another post. But not today. Let’s just enjoy these funny and lovely scenes from the movie! This post was originally published 12-11-2013. Last revision 12-11-2013. 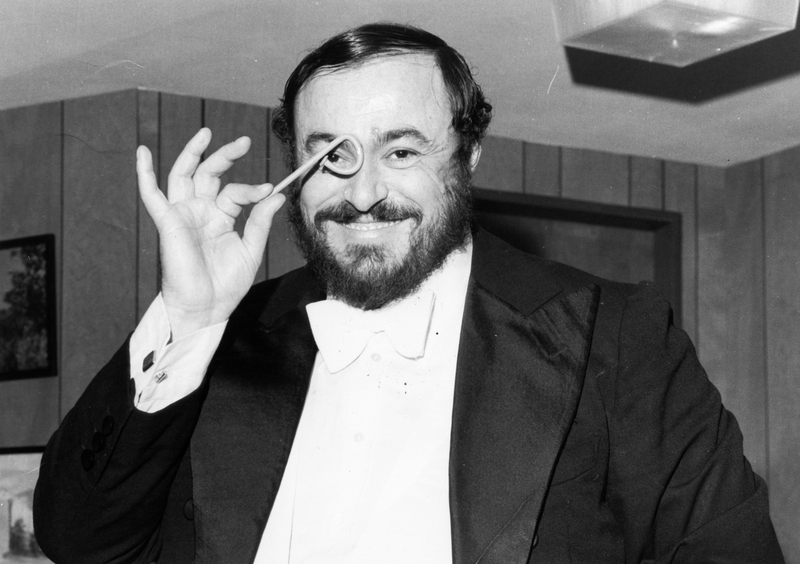 Posted in Funny Pavarotti, Luciano Pavarotti, Pavarotti, Pavarotti in Yes Giorgio, Pavarotti's performances, Pavarotti's recordings on November 12, 2013 by Odd Pavarotti. Today is Saint Lucy’s Day which is always celebrated on the 13th of December. Saint Lucy’s Day is a Christian celebration of the Italian Saint Lucy, or Santa Lucia in Italian. This day is not celebrated in all Christian countries and the celebrations differ among countries that do celebrate them. In Norway and the other Scandinavian countries this day is celebrated with a procession of children singing and holding a candle. These processions take normally place in kindergartens and schools, and many parents come to visit to see their children’s processions. Today’s celebrations are mostly secular and is often viewed upon as part of the Christmas celebrations. And what song do the children sing in their Saint Lucy processions? Often the traditional Neapolitan song “Santa Lucia“! To summarize: An Neapolitan song about an Italian saint which in some countries is part of the celebration of Christmas? Confused? Read the links above to learn more! Or visit Scandinavia! This was just a brief introduction to the video of Pavarotti singing the song “Santa Lucia”. This performance is from the his only movie “Yes, Giorgio“ from 1982. This song is featured on the “Yes, Giorgio“ soundtrack album (previously available on Decca CD and LP) and on various Pavarotti Decca compilations such as the 2 CD compilation “Pavarotti Forever”. Looking forward to Christmas? Strangely I do too! Odd isn’t it? This post was originally published 13-12-2012 local Norwegian time (14-12-2012 “WordPress time”). Last revision 13-12-2012. Posted in Christmas with Pavarotti, Luciano Pavarotti, Pavarotti, Pavarotti in sacred music, Pavarotti in Yes Giorgio, Pavarotti's recordings on December 14, 2012 by Odd Pavarotti. I’m having this song by Pavarotti spinning around in my brain today. Don’t ask me why! It’s just that random Pavarotti song of the day. It’s Pavarotti singing “If we were in love” from his only movie “Yes, Giorgio“ from 1982. Someday I’ll write a blog post about “Yes, Giorgio“. But not today. My brain is spinning. It’s that balloon. Posted in Funny Pavarotti, Luciano Pavarotti, Pavarotti, Pavarotti in Yes Giorgio, Pavarotti's recordings on November 22, 2012 by Odd Pavarotti.